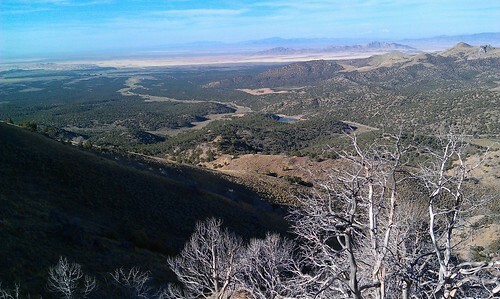 The Cherry Creek Area is a basically open, trail riding area with an almost innumerable number of trails that wind through the trees and brush next to the popular Little Sahara Sand Dune Area. This vast area, approximately 96,000 acres, ranges from easy rolling double track to whoops to rocky technical single track. 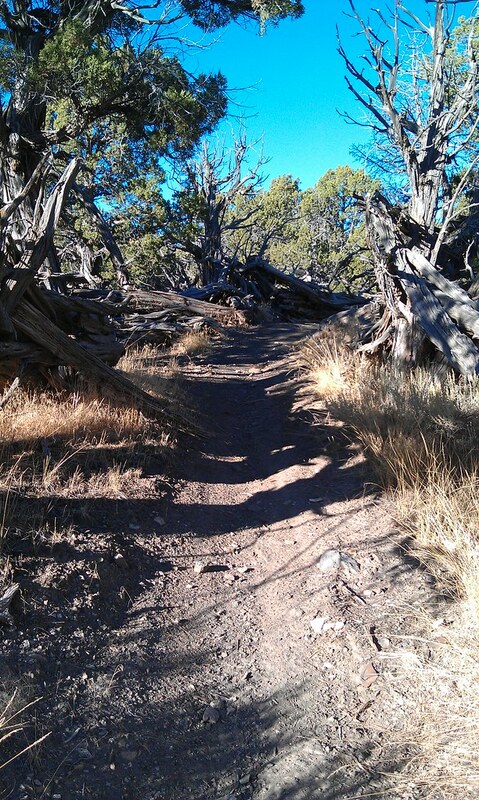 There are many places to set up camp among the trees and you won't soon run out of trails to ride on. There can be a lot of people here depending on the weekend, but usually a suitable camping spot can be found and the crowds seem to not be an issue out on the trails. Be aware however that there are many blind corners as you ride through the trees and traffic goes in all directions. There have been some close calls with oncoming riders, so it's a good idea to be cautious. A GPS is also a good idea here maybe more than other areas simply because everything tends to look the same and you can get turned around quickly in the trees. If you don't have a GPS, take note of where camp or your staging area is before you leave and keep an eye on landmarks to get back. I have tracked numerous trails here, however mapping the trails becomes a little futile because of the number of trail and loop possibilities. For this reason, I've simply marked a couple of good staging points on the map below. 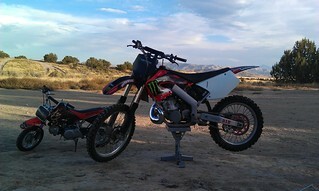 You really can't go too wrong here, start at a central location and start riding in a direction that looks good. You'll soon find your own favorite spots to ride. There are basically 2 sides to stage from. The South side beyond Little Sahara seems to have more and better camping with more double track trails and still has access to everything. 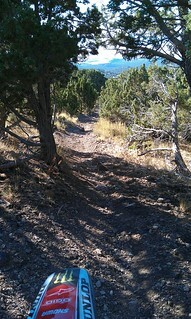 The North side may be a little closer for most for a day ride, but mainly has single track trails. If you just have bikes and are going out for the day, this could be the better place to start. Trails from the South point branch out in all directions. Trails to the NW tend to be easier and wider while going NE will take you higher in the hills to more technical single track. From the North trails are to the SW. I've staged from both points, all my favorite riding has been generally between the two points. Type: Trail area consisting of mostly double width atv trails, with a good amount of single track. 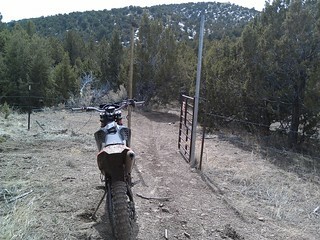 You will most likely come across gates as you ride, make sure you close them. Also, since this does border Little Sahara(yellow map marker) it could be possible to enter the park at certain places without paying. Be cautious to not cross over even though it may be easy to do inadvertently in some areas. They patrol this type of activity and fines can be stiff. It costs nothing to ride at Cherry Creek, but Little Sahara is a fee area. Normally the border is well marked and fenced. The Cherry Creek Area is a little undefined and very large. Stay on existing trails and let your eye tell you where the good spots are. If you take young kids keep an eye on them. Even riding around camp it's easy for them to ride off into the trees and get disoriented. There are plenty of spots that are either open or a separate clump of trees that boundaries can be set however if they wish to ride around. There are even a few areas that resemble tracks that can be fun for kids as well.